The 2017 bear hunt was successful once again! We had multiple bears on very active sites. ​Rifle, muzzleloader and bow hunters all saw bears at a number of our locations. The weather was tough. Wind and lightning dominated the first two weeks, but Jim Bryant was able to harvest his third bear with us in three years. 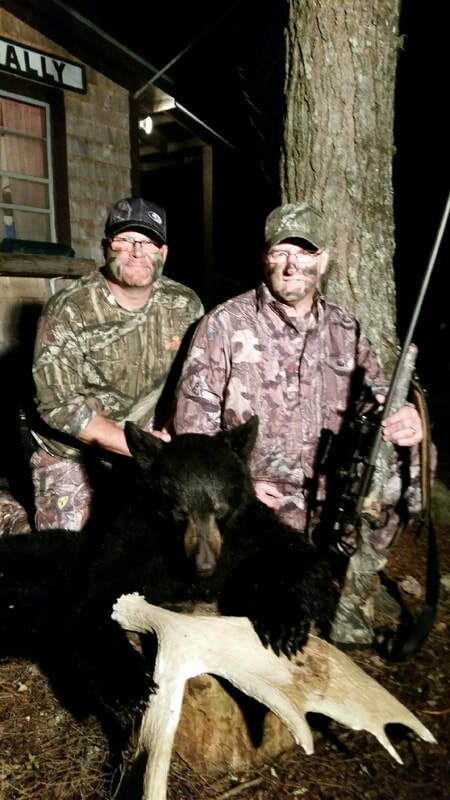 Alan Heinbaugh and Brian Hatch were newcomers to the hunting experience at Camp Finally and Pleasant View Lodge.